Proceeds from this event benefit the Ozark Greenways. Circle Booster Club presenting the annual T-Bird Trot 5K and Fun Walk on Benton Day, April 27th, in Benton, KS. CBC is part of the Circle School district, USD 375 raising funds for our district to provide students and staff funds for various activities and educational needs. Event day registration begins at 6am. T-shirt availability is limited after April 17th and not guaranteed for event day registrations. So sign up early! Enjoy an All You Can Eat pancake breakfast after the race! All participants will be provided a ticket for breakfast sponsored by the Benton Lion's Club. Awards will be awarded to the 1st male and female finishers as well as the top finisher for each age division. Stay tuned for awards and T-shirt reveal! Stick around after the race for our Benton Day celebration that includes kiddie fun run, bouncy houses, face painting, dodge ball, live music, and more. Parade at 2pm! For those unfamiliar with Dog-N-Jog, our day consists of two races! We start early with the chip-timed 5k race. All race participants start at the same time, travel through and around Sedgwick County Park and receive medals upon completion of the race. Our second race begins at 9:30 and is our 1.5 mile Walk-N-Wag! Participants may leisurely stroll through this abbreviated course or run to the finish line! Specific Walk-N-Wag finishers medals will be awarded to these participants as they cross the finish line. Interested in participating in both? We have dedicated our Tail Chaser Combo to Katie Partridge- a Dog-N-Jog committee member and former Kansas Humane Society employee. Katie excitedly added the “Tail Chaser Combo” to our race day activities last year as a way to challenge and reward participants who ran in both the 5k and 1.5 mile events! Unfortunately, Katie passed away shortly after last years event. We opted to keep the new addition to the schedule for her. All participants who sign up for Katie’s Tail Chaser Combo will not only receive a 5k and 1.5 mile finisher medal, but also a 3rd Tail Chaser Combo medal! One of the best aspects of our event is that it’s put on by a local small business (Indian Hills Animal Clinic) and 100% of all proceeds are donated to our local Kansas Humane Society! Put on your Party Hat and join us for the 7th Annual Party for Parkinson's 5K run & 1 Mile walk! The 2019 event will be held on the morning of April 27th with the Festivities and Registration beginning at 7:30 am. Both routes feature scenic views and smooth running trails on the beautiful Catholic Life Campus at 45th North and Woodlawn. All pre-registered participants will receive an event T-Shirt and an incredible post-race Pancake Party! Proceeds from this event fund local support groups, educational opportunities and free community exercise classes for those who are facing this debilitating disease. The YMCA is hosting a FREE community 5k & 1 mile fun run/walk out at beautiful Camp Hyde. This run will be part of our Healthy Kids Day on April 27th, 2019 from 1-4:30pm. Sign up at any YMCA for these FREE runs by April 9th and receive a free Healthy Kids Day shirt! Races are limited to 150 people for the 5k and 100 people for the 1 mile. Anybody is welcome to come out for Healthy Kids day to see what our campers get to experience during summer camp every year. Canoes, Kangaroo Jumper, and the Alpine Tower will all be available (weather permitting)to try out along with demonstrations from some of the YMCA youth programs, and booths with other activities around the Wichita area. All events will take place no matter the weather conditions except the canoes, Kangaroo Jumper, and Alpine Tower. Get ready to Sparkle and Shine with the most joyful 5k around! The Girls on the Run 5k is open to the public and is for EVERYONE - males, females, young and old, and all abilities! We encourage walking, running, skipping, cartwheeling - even dancing! - to move forward. It's a 5k like no other-capes, giggles, smiles, tutus, crowns, girl power stripes, colorful hairdos, cheers, encouragement, and girl power abound! Everyone is free to be themselves (aka AMAZING) and complete the 5k at their own pace and with their own unique style. The Girls on the Run 5k events are the culminating celebration for nearly 150 girls in the Reno County area! For more info. about getting involved in the program as a volunteer, commitee member, sponosor or coach please email Christy at christy.thomas@girlsontherun.org. Online registration now available!! Currently Only a $20 registration fee which includes race t-shirt and a donut at the finish!!! Price will increase April 20! Check back soon for race route details!! See attached flyer for Save the Date info on the 3rd annual Donut Dash 5k. Check back soon for registration pdf and more race information! Heartland Games was launched in 2013 as a means to celebrate those seniors leading healthy and active lives, and to provide an enjoyable forum in which to do so. With the addition of track and field in 2016, Heartland Games drew in a whole new level of enthused participants. “I do this to stay health and fit!” says Carolyn Langenwalter, a 78-year-old sprinter. Step Up for KIDS is a timed or untimed 5K run and Memorial Walk that benefits the Kansas Infant Death and SIDS Network. The 16th annual event will take place Saturday, May, 4 2019, at Wichita's Old Cowtown Museum, 1865 W. Museum Blvd. Registration includes a T-shirt, lunch, children's fair and admission to Cowtown, a living history museum of 1870s Victorian Wichita. This scenic riverside 5K course begins and ends at Old Cowtown Museum. Ages 12 years and older are $25 ($30 if you register after March 31, 2019). Ages 2 - 11 years are $15 ($20 if registered after March 31, 2019). Step Up for KIDS invites individuals and teams to participate in the 5K and/or the Memorial Walk. Strollers and wheelchairs are permitted. Teams can compete for the Grand Team Award by raising the most money. 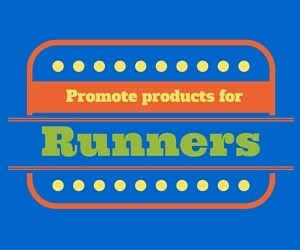 Participating teams must register under one team name, for example Reed's Runners. For the Memorial Walk, participants are encouraged to walk in memory of all babies who have died too soon. Pre-registered participants may pick up their packets at the KIDS office, 300 W. Douglas, Suite 145, between 9 a.m. and 7 p.m. on Friday, May 3, 2019. 5K timing chips will be distributed with packets. Packets also will be available at check-in on the event day. 5K: Both adult men and women and youth boys and girls will be awarded for top three overall finishers. Timer Guys will time the event. Team: The Grand Team Award will go to the team that has raised the most money. Door prizes will be given away during the Memorial Walk. All registered participants (runners and walkers) are eligible, but you must be present to win. Reminder: Incomplete registration information, including the liability waiver, will exclude a participant from awards. Everyone is invited to participate in the memorial balloon release in memory of all babies that have died too soon. The balloon release is scheduled immediately following the Memorial Walk. If you want your child's name to be read during the memorial balloon release, please stop by the DJ tent/table and add your child's name to the list. Rain or shine...we will Step Up for KIDS! Please no pets, alcoholic beverages or glass containers. The Rainbows Run benefits children with special needs, ages birth - 21, and their families in Butler County. Join in on the fun for our annual 5K and 1-mile walk. The officially time 5K race is open to both competitice and non-competitive participants, and the 1-mile course is for the whole family. Funds will benefit: Birthmother Ministries & Open Door Pregnancy Care Center. For more information, call 316-269-3935. This 5K race through historic Haysville, KS is used to raise funds for our faith-based collegiate baseball team that plays and serves the community during the summer. Please find the Haysville Aviators on our website, Facebook or Twitter. It's a 5k like no other-capes, giggles, smiles, tutus, crowns, girl power stripes, colorful hairdos, cheers, encouragement, and girl power abound! Everyone is free to be themselves (aka AMAZING) and complete the 5k at their own pace and with their own unique style. The Girls on the Run 5k events are the culminating celebration for nearly 800 girls in the Wichita area! 7:30 a.m. | Festivities Begin, on the South Practice Field of Wichita State University’s Charles Koch Arena. Survivors of cardiovascular diseases will be honored prior to the walk beginning and a survivor photo will be taken. Length of route is 1-mile or 3-mile non-competitive walk, the 5K is timed. Money raised will be donated to Caring Hands Humane Society and the local Safe House to help the victims of abuse. All ages will enjoy our Smallville 5K & Super Hero 1-mile fun run/walk as a part of the Third Thursday Smallville Festival on June 20th. The Smallville 5K starts at 8:30 p.m. and will include three, 1-mile loops. It is officially chip-timed with official age-group awards to follow. Come join us for the 38th annual Derby Firecracker Race on the 4th of July! Pick between a certified 4 mile course or a fast certified 1 mile course. Enjoy a looped course that begins and end in Derby's High Park. A cash reward to our fastest male and female runners in each race of $50.00 will be awarded as well as age group awards! Finisher Medals for all Runners! $35.00 day of the race! For $5.00 more you can run both races! Save $5.00 by being a Derby Run Club Member! Bring the kids, they are $10.00 less! Girls on the Run Heart of Kansas Brews, Clues, and Running Shoes is a fun and exciting race where teams of four will complete physical and mental challenges throughout downtown Wichita! Limit of 60 teams, this event will sell out fast! 7 p.m.: Salty Pup Triathlon begins! PARENTS: We will have various spectator locations for you to watch and cheer on your child on the swim, bike, run, and finish portions of the course. Please respect the volunteers and coordinators and DO NOT block the transition areas! This includes the main bike transition area. We ask that children are responsible for putting on their own shoes, drying off, etc, and coordinators will be there to assist as needed. Parents are not allowed to bike or run on the course with their children. This can result in disqualification! All finisher’s receive a medal at the finish line! Come! And run the Run For Your Momma Half Marathon on a fun and challenging course of pavement and country roads (gravel/dirt). The course features a variety of both hills and flat lands! The run will take you into the Norman Rockwell setting of the City of Marion. You will wind around the popular family destination of Marion County Lake with its commemorative CCC workers statue, and beautiful examples of the classic hand laid stonework of the 1930s. Experience pastoral scenes of prairie, growing crops, and cattle grazing all while being treated to the melody of native Kansas's birds. Watch for them perched on fences as you breeze by! ● Half marathon relay teams will be limited to two persons per team; each will run half of the race. ● Day of Registration and sign in starts 1 hour prior to each race time at the Lake Hall. ● Early Registration and sign in is 7-8PM Friday Aug 9, 2019 at the Lake Hall (the Teal Building). ● Race Day Registration is accepted but not encouraged, and t-shirts are not available. ● All packets will include a t-shirt, race number, and meal ticket. ● A post race breakfast will begin at 8:00 and be free for participants. Non-participants are welcome to eat for $5. ● Dogs on leashes welcome! Half-marathon participants will receive a finisher's medal with age division male/female 1st place recognition. WHY: Supporting individuals with physical disabilities pursue an active lifestyle. A racing chair or running blade will be donated during the awards ceremony. Salty Dog Triathlon is a sprint triathlon for adults and is offered as individual or done as a team. 5:15-6:30 a.m.: Salty Dog packet pick-up at Homebuilder’s Shelter Building; number marking and receiving the timing chip – PLEASE MAKE SURE YOU ARE MARKED AND HAVE CORRESPONDING TIMING CHIP! ALL TEAM MEMBERS MUST BE MARKED! 7 a.m.: Salty Dog Triathlon starts! After race (around 9 a.m.): Awards ceremony on the Homebuilder’s Shelter Building lawn area and special 20th anniversary celebration! Join us for this unique trail run experience at Kansas Maze near Buhler as the 5K and 1 Mile course will immerse participants in 16 acres of gorgeous sunflowers! Runners, joggers and walkers will follow the dirst paths through the sunflower field to the finish line! It's an event like none other! All registrants will receive a free Sunflower Trail finisher T-shirt, unique finisher medal, gift bag with local business coupons and 2 free admissions to the Kansas Maze Sunflower Festival! A delicious pancake breakfast will also be served! All you can eat pancake feed starting at 8:30am. The 2nd annual Fueled by Fire 2 or 9 mile run is hosted by the Newton Fire/EMS department and is a benefit run for the Harvey County Community Chaplain Response Team. The 2-mile route begins at Athletic Park, follows along Sand Creek and ends back at Athletic Park. 2-mile participants will receive a T-shirt with their registration. The 9-mile run begins in Athletic park and follows the bike path along Sand Creek into North Newton. The 9-mile run includes 2 miles of wood-chip trail on Bethel College's Sand Creek Trail. There will not be a time limit for completion of this event, walkers are welcome. 9-mile runners receive a T-shirt and custom finishers medal. Run with us in the Salt City! Enjoy this SATURDAY morning race so you have the rest of your weekend ahead of you! Our course is fast and flat, ensuring you of a great time. 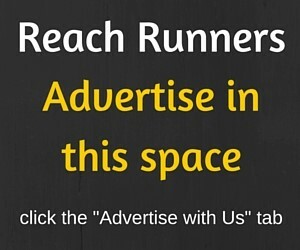 Open to runners and walkers, USATF-certified. When you're done, enjoy the Downtown Hutchinson Rod Run festivities to follow! We’re hitting the trails of Sand Hills State Park for this year’s Trail & Treat 3K/5K races, taking place on Saturday, October 26 starting at 9 a.m. The 5K race is officially chip-timed and includes overall male/female awards. The 3K race is untimed and a fun run/walk. All participants receive a race shirt, finisher’s medal, and can enjoy fall treats at the finish line! Please join us for the second annual Red Kettle Run. It's a 5k like no other-capes, giggles, smiles, tutus, crowns, girl power stripes, colorful hairdos, cheers, encouragement, and girl power abound! Everyone is free to be themselves (aka AMAZING) and complete the 5k at their own pace and with their own unique style. The Girls on the Run 5k events are the culminating celebration for nearly 800 girls South Central Kansas.